Falaknuma Palace is the gem in the crown of Hyderabad. Its royalty, its magnificence, its very much own luxury symbol make it a Heritage property of India. If you want to enjoy the royalty of Nizams with the blend of the South Indian warmth and elegance and modern luxury, it is the ideal place for you. It is actually the property of Nizams of Hyderabad. 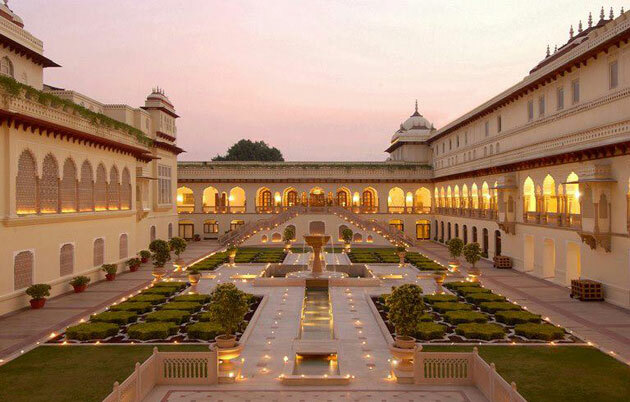 In 2010, the Taj group leased it and make it a Hotel in the name of Taj Falaknama Palace. I heard so many things about the rave of this palace during my Hyderabad days. But, the time when I was about to move from this city, I decided to visit the palace once and experience the royalty before I leaving the city. It was a Day tour that includes the Choumahala Palace and Golkunda Fort with the tour of the Falaknuma Palace. The tour gave us the perfect touch of Nizam’s lifestyle. Falaknuma Palace is not opened to the general public. If you interested to visit if you have to book a Day tour- Nizam Palaces Tour organized by Telangana Tourism. You can get all the details about the tour in the given link. I visited it on this tour. If you afford you can book a stay here to get awesome royal treatment for a day. The hotel is also available for wedding and birthday party. It is only 16 Km from the airport. If I do not share the history of the Falaknuma Palace, you’ll not understand its importance. The palace was built in 1884 by Nawab Vikar-Ul-Umara, the Priminister of Hyderabad. He used it as his private residence until the 6th Nizam of Hyderabad owned it and made it as the royal guest house of Nizams around 1897-98. After 1950, the palace fell into disuse until the Taj group lease it in 2010. It makes you feel royal as the chariot carries you from the gate to the front lawns of the palace. They will welcome you with the drink. The stairs in front of the palace will lead you to the entrance foyer and the rose petals, soaked in the Itr perfume will be showered on you. You shouldn’t miss the splendid painting of the Nizam painters from the entrance foyer to the different rooms. The collection of some rare books and Quran, you can find at the Library. It’s better to meet the resident Historian to understand those in a better way. He will also tell you the stories of Nizams, history of building the palace and so many things that will help you to enjoy the royal flavor. 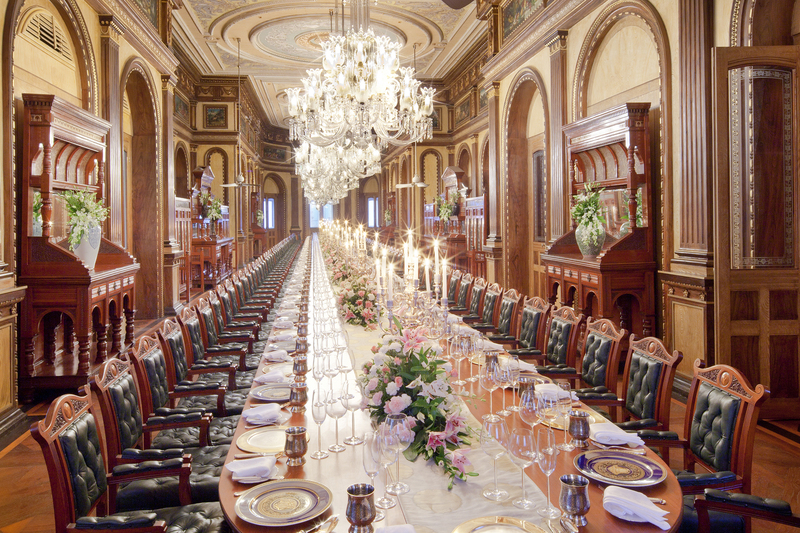 In the dining hall, you can find World longest dining table where 101 guests can sit together for dining. The combination of silver gold plates with Bidriware glasses decorates the table. The chairs are made of the carved rosewood with green leather upholstery. The place has 60rooms and 22 halls, which are decorated with marvelous paintings and Nizam artifact. After visiting the indoor, come outside to visit the fabulous architecture of the palace from a different angle. You can get an amazing top view of the city. In the time of sunset, it looks dramatic. Visiting Ramoji Film city and taking city tour is very common in Hyderabad trip. Make your trip special, memorable and unique by including Falaknuma Palace in your trip schedule. Visiting the palace doesn’t cost much (see the given link above) if you book a half day trip for Falaknuma palace. So, don’t miss it on your Hyderabad trip. Look forward to your next posts..
That’s great. The stay is really amazing if you can afford it. If you can’t, visit it must. Yousufain dargah is good.But so much clumsy area. I visited it once as a part of a photowalk. Any, Sayan, thanks for sharing your experience and views as well. Best wishes for the challenge. Yes, Sweta, it’s worth to visit. Thank you dear. P.S – Not leaving a link since I detest others doing it on my blog too. You can find me by clicking the image on the left. Thank you so much, dear. Glad you liked it. No need to leave link when your site is linked to your Gravatar image. I can easily visit your posts through the link.